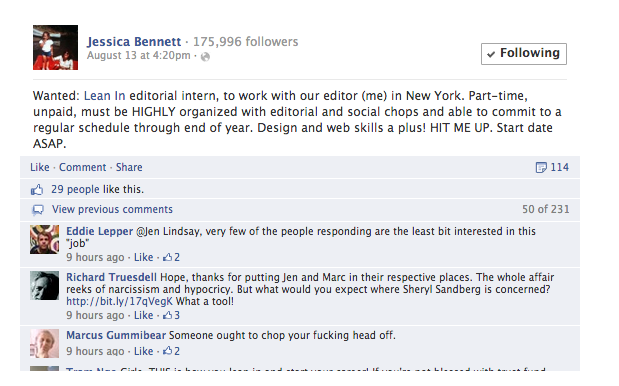 Yesterday there was an uproar over the fact that Sheryl Sandberg’s Lean In editor posted an opening for an unpaid editorial intern. I’m not a fan of unpaid interns in general, so sure, I was slightly bothered by this. Just as I am slightly bothered by every single unpaid intern posting. Past that though, I think people overacted. And in cases like this guy “Marcus Gummibear” above, some people were down right abhorrent. I guess people assume that Sheryl Sandberg should pay her interns, because she just sold 100 million dollars worth of Facebook stock and she is way wealthier than she probably knows what to do with. This completely ignores the issue that many multi-million and even multi-billion dollar companies hire unpaid interns. I read Lean In this past spring and really enjoyed it. Sheryl Sandberg readily admits that she has had a lot of help during her career, whether that be growing up in a stable, economically sound home, or having connections after attending Harvard and working in high profile jobs. She isn’t trying to pretend that she is like everyone else in that sense. She relates to us because there have been times in her career where she questioned herself, was made to felt unequal by male colleagues, and struggled to understand what the proper ratio of parenting to working should be for her. Her message is “lean in” because she wants women to feel like they have a right to sit at the same table as men, yet still have the opportunity to be mothers, wives and family members. This is what she wants us to relate to; and we can. She does not ask us to relate to her wealth, her success, or her way of life, because she knows most of us cannot. People (and mostly women at that) love to hate on Sheryl Sandberg, especially after Lean In came out. 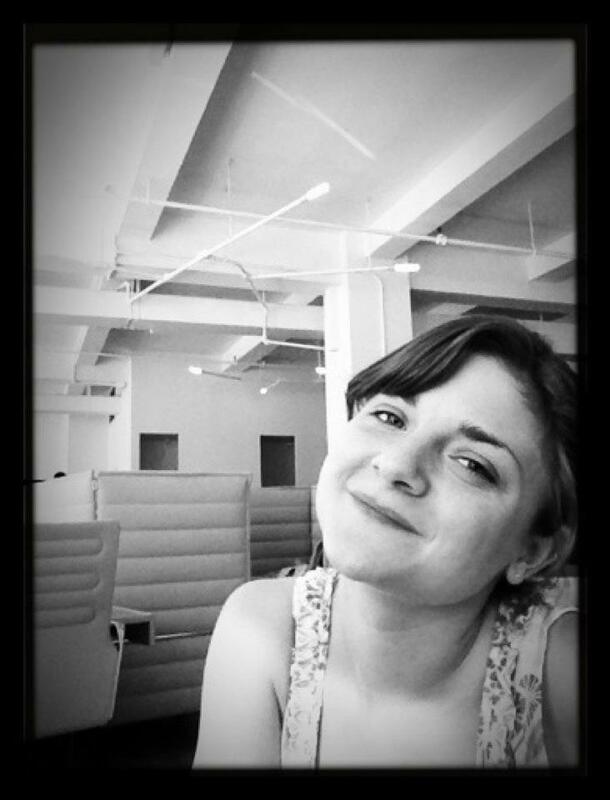 This unpaid interns dilemma is just the most recent installment. Please remember, if you have an issue with Sheryl Sandberg hiring an unpaid intern, than you need to look at the hundreds of multi-million dollar companies that hire unpaid interns and be just as upset.